Found at the edge of the Balcones Canyonlands Preserve in Austin, Texas, Travaasa Austin is the kind of place that embraces nature. The resort is surrounded by trees and hills, making it a perfect place to escape the hustle and bustle of the city life and be one with nature for a while. 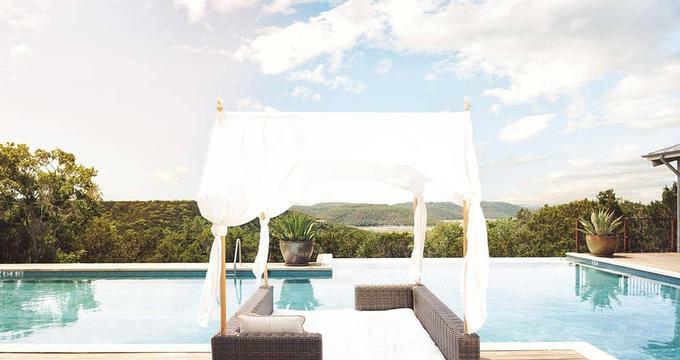 Known as an eco-friendly adventure spa getaway, Travaasa Austin is an active vacation destination, popular for weekend and week-long escapes. It features guided adventures, cultural trips, spas, fitness facilities, and so much more within a peaceful and natural environment. While the beautiful surroundings alone will exhaust the thirst for exploration, the resort also features a selection of outdoor activities so vast that guests will never run out of things to do. Catering to guests 16 years old and above, each of the rooms is meant to be the best place for unwinding. 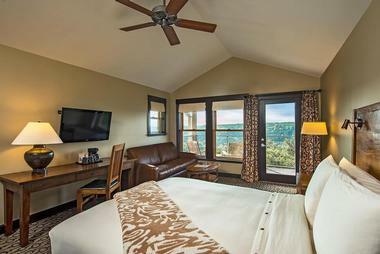 They are fully furnished for comfort and filled with beautiful and relaxing fixtures and décor, which includes: either one or two plush, queen sized beds, organic linen and comforters, bed lamps and reading lamps, walk-in showers, complimentary light drinks, comfy cotton robes and sundry items. Each room provides the guests with breathtaking view of the surroundings of the resort. 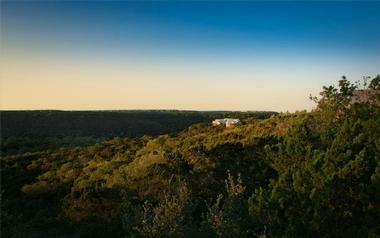 Canyon View hotel rooms give guests access to huge balconies that give them full view of the entire Texas Hill County. The balconies are usually set high above the tree tops to give guests access to that view. The Trail View accommodations, on the other hand, give guests a view of the resorts’ gardens, woods, and trails through a balcony or patio. These rooms also have some added amenities like desks, irons, hair dryers, umbrellas, coffee and tea makers, and of course Wi-Fi. But if guests want to adjust the rates based on their budget, they can also avail of the a la carte packages, which include most of the items above minus some optional items like the daily meals and resort credit. More Texas vacation ideas: from Dallas, from Houston and from Austin. 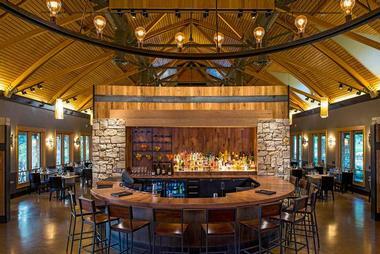 Open to guests and visitors (by reservation), the Preserve Kitchen and Bar is well known for treating all its guests to delicious and nourishing meals and snacks made of only the fresh, locally sourced, and organic ingredients. The ambience also gives a sense of community around the dining table, making the dining experience even more special. The place is also known for its executive chef, Benjamin Baker, who has delivered revolutionary Travaasa cuisine since he arrived. Having cooked in places like Maui, California, Hawaii, and San Jose, Baker has had over a decade of experience which he now uses to create a distinct culinary style that attracts people to dine at Travaasa Austin. Each type of meal has a special selection that guests can choose from and the dishes that will be served will be based on the availability of local ingredients. There’s also an extensive wine list that’s inclusive of a wide variety of tastes, from sparkling wine to the premium tequila brands. The Spa at Travaasa Austin is all about relaxation and revitalization of the human body through the natural capabilities of plants and essential oils used in the most indulging, pampering methods. 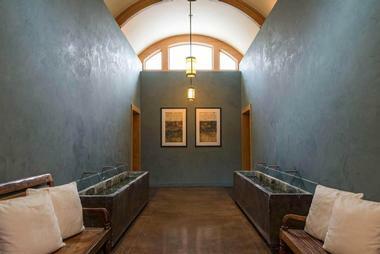 There are a total of 11 spa treatment rooms, a couple’s room, a sauna, and hot tub. The spa vicinity also happens to be right next to the saline infinity pool, which guests can use while enjoying a great view of the scenic country landscape. “What Ales You” Package, which is a special therapeutic massage as well as a men’s pedicure and some locally brewed Texas ale (2 hours). There are also special packages for couples such as the Couple’s Suite, Couple’s Escape, and the Couple’s soak. All these allow couples to indulges in the spa’s services together in private couple rooms for a briefly as 25 minutes or up to 3 hours. Individual services are also available for stay-in and off property guests alike. Whether they’re looking for something as basic as body massages or treatments or as specialized as hydrated eye renewals or waxing, the Travaasa Austin Spa has it all. But if guests just want to relax, they can simply opt to swim in the infinity pool or soak in the hot tub. This is also a great place for all sorts of outdoor activities. Whether guests prefer a quiet place to think or relax or something that can pump the adrenaline, Travaasa Austin can give them what they’re looking for. The Prickly Pear Challenge Course which tests the challenger’s physical ability in so many aspects as he treks through fields of cactus needles and trees. The course ends with a 250-foot zip line that soars over the Texas Hill Country. Horseback riding through the Austin Hills, which can be enjoyed by even those with little to no horseback riding experience. Equine encounters, which allows guests to interact directly with horses through leadership and body language. Again, no past experiences with horses are required. Biking through different tracks of varying levels of difficulty. Archery within the property’s fully equipped archery range. Hatchet throwing, which is great for practicing strength, flexibility, concentration, and focus. Geocaching activities, which feels like a high-tech version of hide and seek, since players have to find “geocaches” using Global Positioning System (GPS) tools and technology. For those who loved the restaurant environment, Travaasa Austin has a couple of culinary activities that guests can take part of. They can go for the basics by taking basic culinary classes from the restaurant’s staff of experts or experience something more specific like wine tasting or juicing. There are also group cooking demos for friends who want to learn how to make food preparation look so easy. Meanwhile, guests who want to experience some cultural activities will find that Travaasa Austin is a great place for dancing, music, ecology exploration, sketching, and simply socializing by the campfire. But if guests prefer some alone time, the meditating in a breathing or yoga class or in some of the more quite spots of the property could be perfect for them. 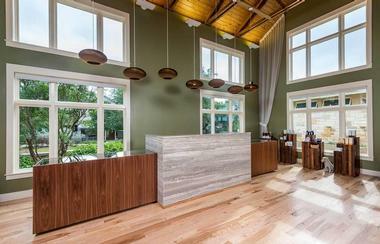 Travaasa Austin is perfect for company retreats, office community building, and similar activities. There’s a wide selection of meeting and showrooms to choose from, depending on the group’s size and purpose for gathering. here’s also a host of team building activities that groups can choose from so that the bonding goes beyond the meeting room. Some activities are action packed and are meant to challenge the body as well as hand and mind coordination, while others have a more cultural feel to it, such as the Culinary Delights, Texas Culture, and Social Responsibility programs and activities. Finally, the entire group can be exposed to constructive challenges where everyone’s participation and cooperation will be required. Facilitators will be leading the group through various stations where an activity that lasts 15 to 45 minutes will be undertaken. These stations are meant to pose as different challenges testing mental and physical faculties of the entire group, as well as their ability to work together. Just like the other arrangements, the entire course is completely customizable so that guests can experience the challenges they feel a best suited for the purpose of the entire team building activity. Rates start at $250 per night; from $475 all inclusive. Find more great Weekend Getaways in Texas. What is Divine Sleep Yoga Nidra?